Recycled Park: floating plastic waste turned into sustainable green space - Rotterdam. Make it Happen. Plastic waste is a big problem. Enormous piles of floating plastic in our oceans, drifting waste in our rivers, on our beaches and in our ports… It is enough to make one sad. Is there anything we can do about it? ‘Yes!’ is Ramon Knoester’s answer. 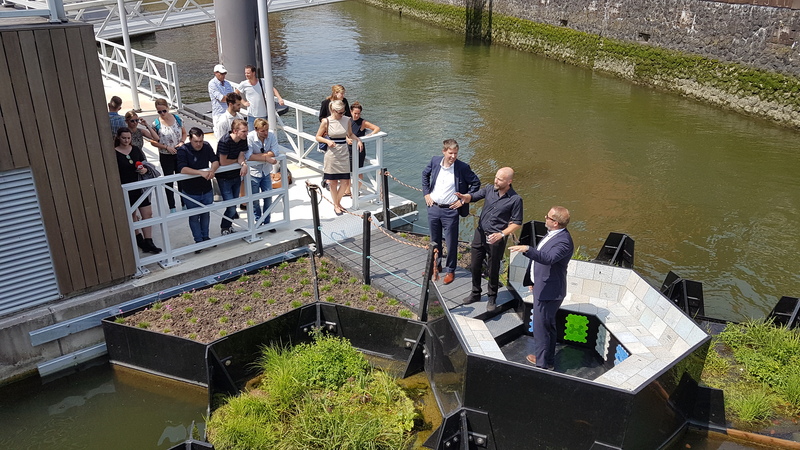 Together with his Recycled Island Foundation, Ramon collects plastic waste from the river Maas and its quays in and around Rotterdam and makes sure these plastics never reach the oceans. And what’s more, he turns the waste into a floating park in the Rijnhaven in Rotterdam. We are all familiar with the worldwide plastic issue. Fortunately every day more and more people understand that this is a really big problem and the tide is turning in favor of taking action and doing something about it. Just a few years ago however, this wasn’t the case. ‘What kind of world do I want to pass onto my children?’ Ramon Knoester, architect and founder of the Recycled Park in the Rijnhaven in Rotterdam asked himself. ‘One without the plastics problem’ was his answer. As a Rotterdam based architect and entrepreneur Ramon experienced first-hand that floating plastic waste is indeed also a problem in his own city. The river Maas, the inner-city harbors, the quays… they were regularly littered with many plastic bottles, bottle caps, disposable cutleries, parts of toys, foam products, plastic bags and many more types of plastic waste. A realization set in that he wanted to act and do something about it. ‘I never had any illusion that I would solve the global plastics problem. But I did want to do something about it, take action. Tackle the problem instead of just talking about how bad it all was. And where better than in my own city of Rotterdam!’ And so the first steps were taken on a road that would lead to the Recycled Park. A global way of tackling a global issue. 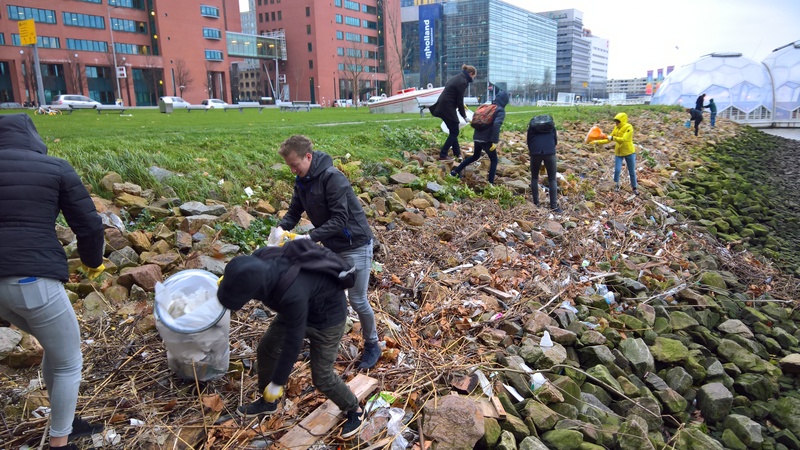 Besides the ‘plastic picking’ sessions with the volunteers, Recycled Island Foundation also collects plastic from the river Maas by way of three plastic catchers litter traps. These traps were specially designed and developed over a period of approximately 1.5 years and were thoroughly tested, monitored and optimized. 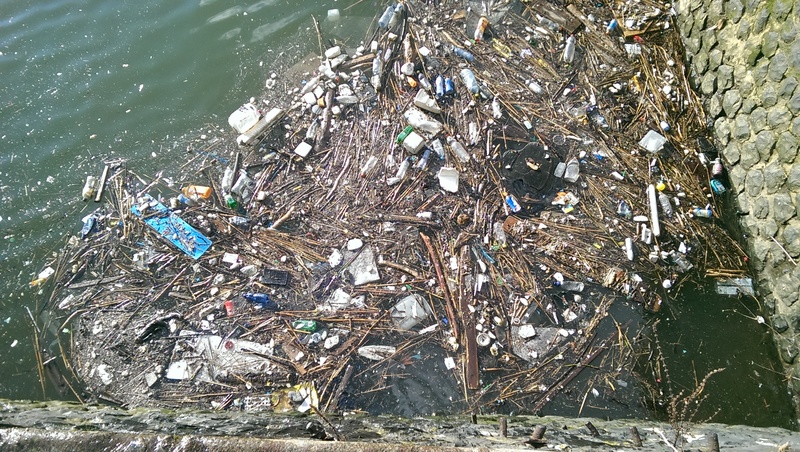 The litter traps float in specific spots in the river and ‘catch’ garbage using the tides and flow of the river. Photos: Recycled Island Foundation and Rotterdam Partners.